It’s that time again when I pay homage to my former corporate working mom life and find you some good workwear options. 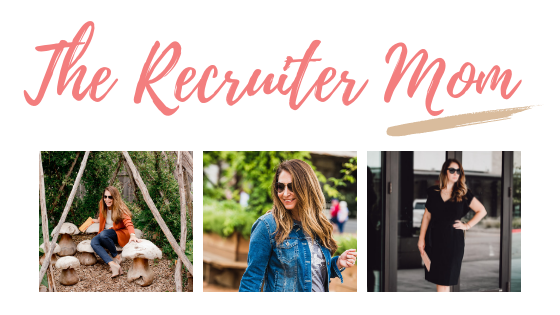 For those of you that might be new to the page I worked as a corporate recruiter for close to 12 years and half of that time as a working mom. I totally understand the stress of finding work options that are affordable, fit right and can be shipped to your door because no one has time to run all over the place. For the original outfit the blazer is a knit with notched collar blazer that fits true to size, I’m in a medium. The cami is also true to size, 10 and comes in a ton of colors and is 40% off making it $32.50 plus an additional 20% off with code YAYMORE when you spend $100. The pants though are ones that I seriously don’t think I’m going to find you anything close to this greatness. They are from Amazon and have a pull-on style, they fit so perfectly and come in regular and short lengths. I also found out that Amazon carries several styles of this pant so I’m in the barely bootcut but they also have slim style, straight pant with tummy control and slim ankle pant. The shoes are my favorite Sam Edelman hazel pump that have a texture leopard vs just a print and at 30% off worth grabbing now. Next up is another Amazon find by one of their in-house brands Lark & Ro. When I heard that Amazon had a brand that was high quality and all workwear I had to check it out. This stretchy wrap dress is only $39 and so awesome! I sized up to a large because I’ve found things off Amazon running small in the past but I should have stuck with my true size on this one. It has enough fabric to cover the girls with minimal concerns of a flashing situation. Since this dress comes in 24 colors you are sure to find one you love. It also comes in a long sleeve version if cap sleeves are not your thing. The moment I saw this spring Target top I fell in love! You might have seen it back in my full Target workwear post paired with a skirt. This time around I found some good ankle pants from Target to complete the business casual look. The split neck and flows body makes it easy to wear tucked or untucked. 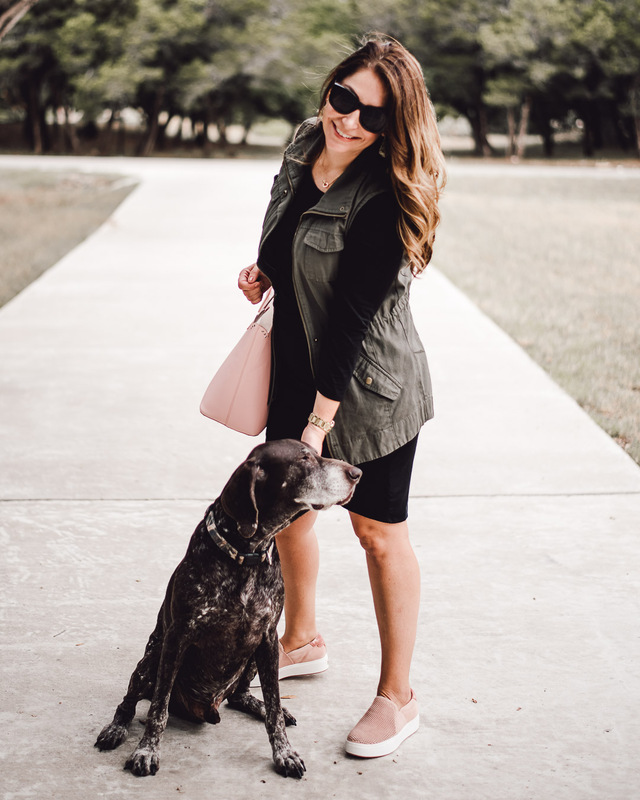 If you are on my email list then you probably saw this business casual look from LOFT. Although I know a lot of you work in an environment where you can wear non distressed jeans at times so I wanted to give you a great polished look with jeans. I love the skinny leg and mid rise fit of these jeans, the modern has always fit me the best but if you are curvy in the hips grab that style in this same wash.
Professional Photography by Regan Morton Photography in Austin, TX and Randi Michelle Photography in Fort Worth, TX.